1. Borrowing from your retirement to pay off debt. Retirement funds and nest eggs sitting within 401k's and IRA's are protected from both creditors and bankruptcy trustees. Most people will need this money upon retirement, and therefore it is categorized as a protected asset that cannot be touched during the bankruptcy process. There is only one way creditors can grab cash from these coffers, when individuals voluntarily withdraw it to pay debt. Unfortunately, while this may handle minimum payments for a period of time, it usually is not a final solution and on top of the liquidation of the retirement assets, the individual is now responsible for the taxes associated with the premature withdrawals. 2. Do not pay off debt to family members. While most people sitting in debt would prefer to pay off debt to the people closest to them rather than creditors, it could put family members in peril. This could be considered "insider preferences", and any repayment or transfer of assets to family could be recouped by the bankruptcy trustee and land a lawsuit in the hands of a family member. 3. Don't borrow from retirement to pay off family members. A combination of these two could leave you without a retirement, responsibility for taxes owed from borrowing from your retirement, and trouble for the recipient of the transfer for insider preferences. This combination can be caustic. 4. Do not transfer away assets before bankruptcy. Under the bankruptcy code, a transfer of assets can be deemed fraudulent conveyance, which can have severe consequences, and may even restrict or disqualify the bankruptcy relief one is seeking. 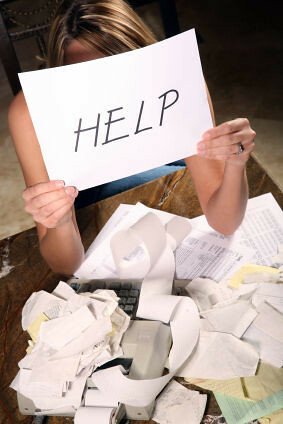 With the advice of an attorney, certain assets can be exempt which creditors cannot touch. However, if these assets are transferred, they are no longer protected. 5. Don't exhaust your short term savings. If one is facing an uncertain future, such as a layoff or change in income, it is important to keep short term savings on hand to cover the important human needs of shelter and food before paying off creditors. Seeking advice from a financial advisor or an attorney can better protect your relief fund. Post a Comment to "Five Things Not to Do When You Owe Too Much Money"